German soldiers from 2 Company Multinational Engineer Battalion of Nato’s Very High Readiness Joint Task Force. Joe Ciliberti and Brendon Attard were invited to attend and observe Nato manoeuvres held during the Nato exercise Trident Juncture 2018 at Norwegian Air Base Bodø, situated just north of the Arctic Circle and 1,300 kilometres from the capital, Oslo. Joe Ciliberti writes about their experience. 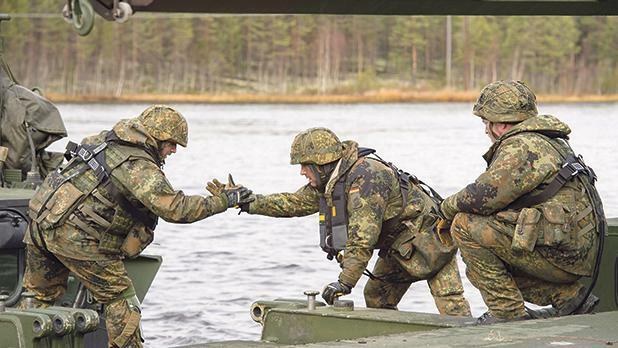 Trident Juncture 2018 has just come to a close in the Northern part of Europe. Hailed as the largest Nato military exercise since the end of the Cold War, the exercise took place under the command of Admiral James Foggo (USN), Commander of Nato’s Allied Joint Force Command Naples. This was the second edition of Trident Juncture, the first one having taken place in southwestern Europe in 2015. US Marines with the 24th Marine Expeditionary Unit (MEU) conduct cold weather training. 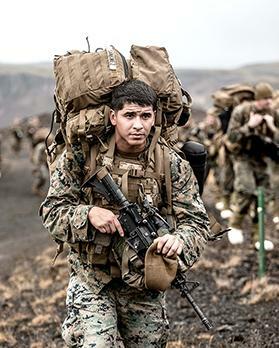 Although Norway was the central point for this mega exercise, Trident Juncture 2018 spilled over the surrounding areas of the North Atlantic and the Baltic Sea, including Iceland and the airspace of Finland and Sweden. The latter two nations are neutral countries but routinely participate in many Nato exercises across Europe and participated with their military hardware too, including SAAB Gripens from Sweden and F/A-18 Hornet from Finland. 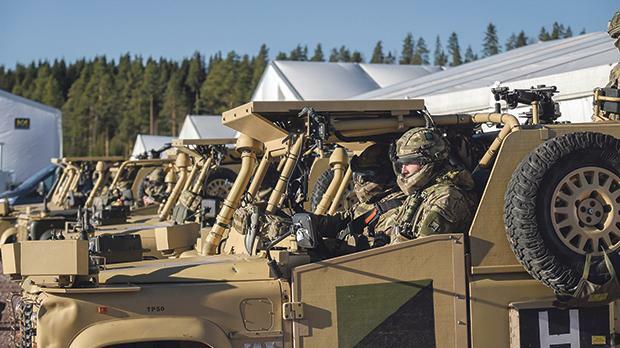 The exercise involved all 29 Nato members, as well as the two countries already mentioned, with around 50,000 troops, 250 aircraft, 65 vessels and up to 10,000 vehicles. The main objective of Trident Juncture 2018 was to ensure that Nato forces are trained, able to operate together, and ready to respond to any threat from any direction. The exercise did not go unnoticed by the Russian military forces that flew numerous missions near the exercise area and were promptly intercepted by Nato forces to ensure safety for all parties. While Russia paid particular attention to this specific exercise, being so close to its borders, the same scenario was played out during Trident Juncture 2015. At the press conference mid-way through the exercise, Admiral Foggo would not be drawn to announce where the next Trident Juncture would take place but was very positive about the success of the exercise especially in the deployment of so many thousands of troops and their equipment to Norway. He thanked the Norwegian Forces for their hospitality while reaffirming Nato’s commitment to its members and partners wherever they may be. 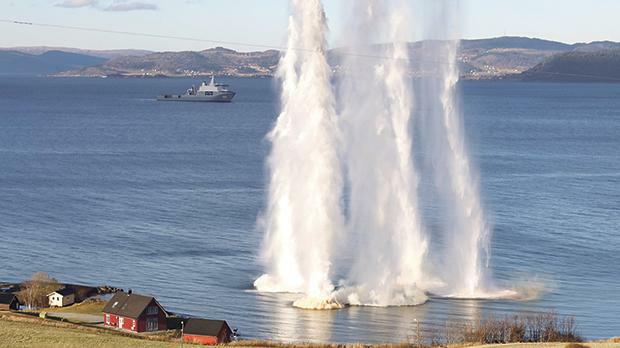 Water shoots upward from blasts during Nato's Exercise Trident Juncture. 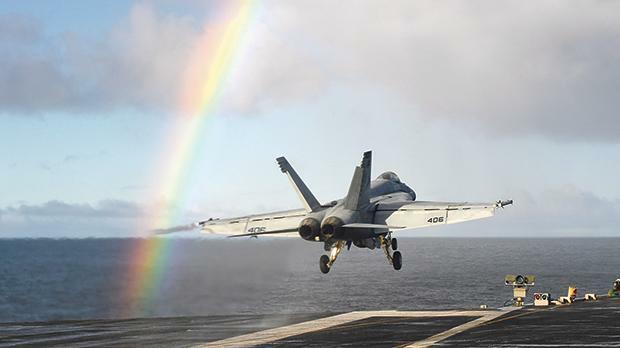 An F/A-18E Super Hornet launches from the US Navy aircraft carrier USS Harry S. Truman (above) while British Army troops of the 4th Infantry Brigade, The Black Rats, take part in Exercise Trident Juncture 2018 near Rena, Norway.